Sharon Temple National Historic Site and The Archaeology of Five Queensville Farmsteads | Bill Finlayson, Ph.D. This year, 2018, marks the 100th anniversary of the preservation of the Sharon Temple and its operation of a museum open to the public—and you’re invited to the celebrations on Sat, Sept 8 at 2pm. 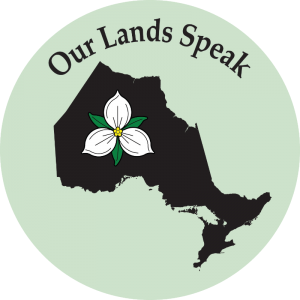 It is a happy coincidence that this year also sees the publication of the second volume in Our Lands Speaks, a publication series dedicated to disseminating the results of archaeological investigations by my company, This Land Archaeology Inc. 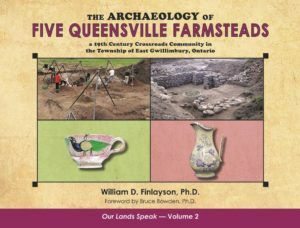 Entitled The Archaeology of Five Queensville Farmsteads: a Crossroads Community in East Gwillimbury Township, Ontario, this book details the excavation of five archaeological sites over the past 11 years for Queensville Properties Development Corporation and DG Group. 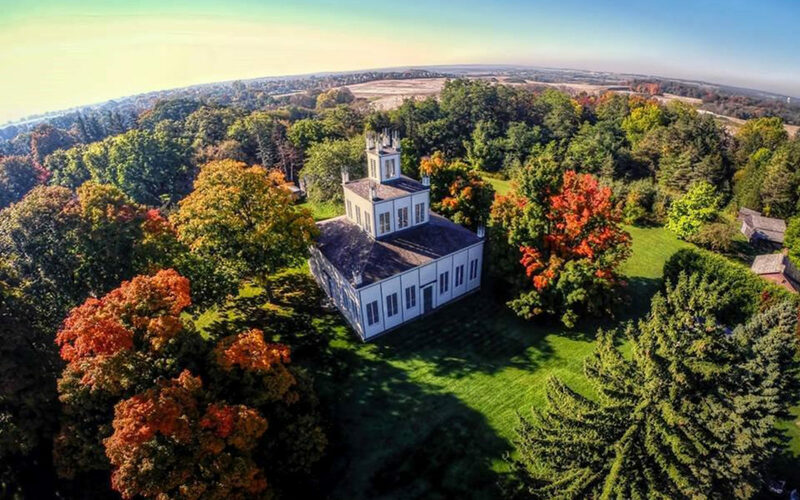 Sharon Temple is a meeting house constructed by the Children of Peace, a sect of Quakers, who with 20,000 other Quakers fled the United States because of religious persecution in the early 19th century. This sect was lead by the charismatic David Willson. Sharon Temple was constructed between 1825 and 1831 and was used as a special meeting place beginning in 1832. “It was reserved for meetings and the collection of alms on the last Saturday of each month, for feasts on ’June Day,’ and at the Illumination in September, and for a Christmas worship meeting. Weekly meetings for worship were held in one of two meeting houses” nearby (Farm and Schrauwers 2005:8). David Willson’s plan for the Temple “was inspired by biblical descriptions of Solomon’s Temple and the New Jerusalem. The square plan symbolized the sect’s egalitarian beliefs and co-operative principles” (ibid:10). After David Willson’s death in 1866, his son became leader of the Children of Peace. Declining membership lead to the closure of the Temple in 1889. In 1918, The York Pioneer and Historical Society purchased the Temple and surrounding land and established it as a local Museum. In 1991, operation of the Temple was assumed by the Sharon Temple Museum Society. Of most importance during our research was the discovery of close ties of three of these sites to the Sharon Temple. Queensville Site 1 was first occupied by Reuben Burr, one of the master builders of the Temple while Queensville Site 3 was once occupied by William H Willson, a cousin of David Willson, the founder of the Children of Peace. The Queensville Doan site was purchased from Rueben Burr by Ebenezer Doan, the head master builder of the Temple. Ebenezer sold the property to his son, Ira, who operated the farm “on shares” with his son, Ezra. It was Ezra who wrote a diary of his life in 1871 before his tragic death in 1872 at age 36. It is discoveries such as these with links to a nationally significant site, the Sharon Temple, which bring to life the results of our labours to salvage sites before their destruction and justify the support of our clients who assist us in preserving the past with admirable responsibility. My thanks to all who have made these works possible. Thanks also to Sheri Andrunyk and her team at I C Publishing for their tremendous efforts to publish my manuscript. 2005 4Sqare: An Introduction to the Sharon Temple National Historic Site. Coach House Books.